Joe Rogan in Montreal or Quebec City? Inform me about the next events for Joe Rogan. Enroll yourself to our priority waiting list for Joe Rogan to be alerted when new tickets are available. Filling this form doesn't engage you to any purchase. 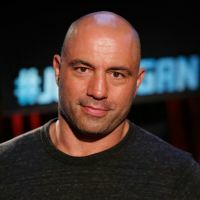 Joe Rogan is an expert in martial arts, American actor and writer. He is the famous commentator of the Ultimate Fighting Championship. He is also comedian has its hours. He will be performing at the Théâtre Corona Virgin Mobile in April, 2015. Contact us for information on tickets at 514-Tickets.